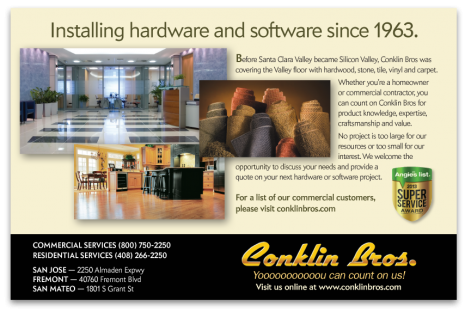 Conklin Bros owner, Rick Oderio, has a great personality. So I created ”Call Me On The Carpet,” a call-in talk show parody in which Rick takes tough questions from professional actors posing as customers and competitors. 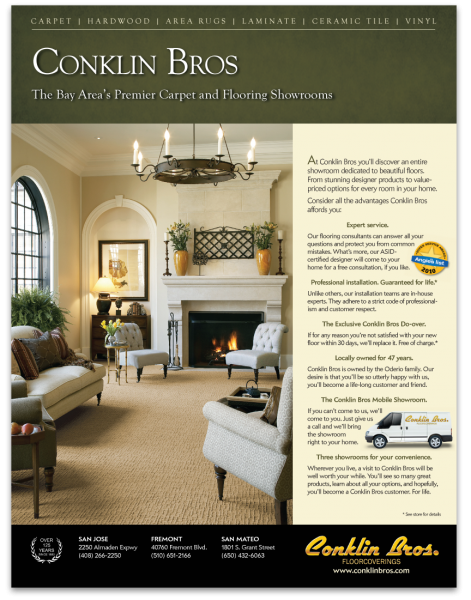 While most carpet stores are surviving on sale after sale, Conklin Bros is the thriving by providing great value and service.